Living in Spain has reawakened the fútbol fan inside of me. 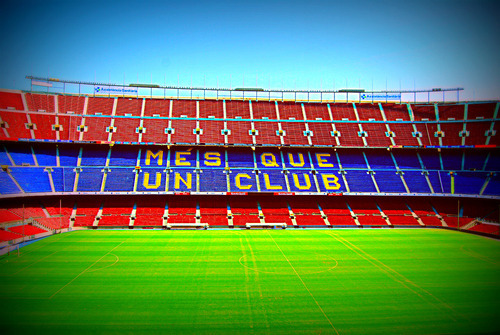 A trip to Barcelona wouldn’t have been complete in my mind without seeing Camp Nou, home to Barcelona F.C. : arguably one of the best teams in the sport, in the world. Luckily for me, there are plenty of Cheap Flights from where I live in the south of Spain. We toured the stadium, locker rooms and multimedia-infused museum for hours, in awe of the history of this team. 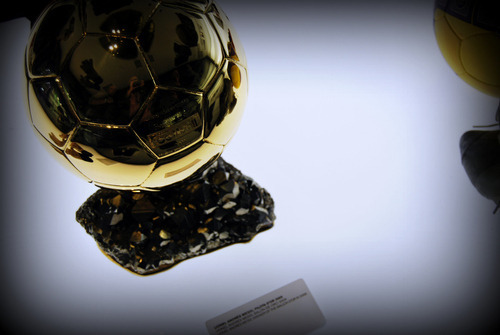 Rows upon rows of trophies over the years line the sides of the museum, giant touch-screens offering history and information create a high-tech visual aspect that remind you that this is one of the richest sports franchises in the world. 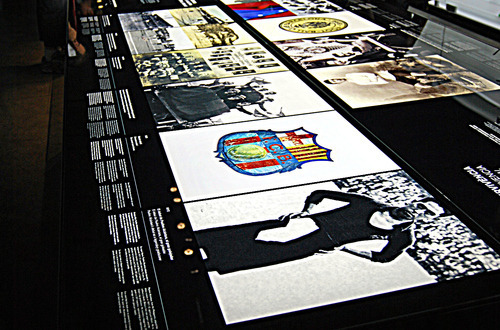 Uniforms and cleats dating back decades, worn by legends like Maradona, Ronaldo (Brazilian version), Messi, Ronaldihno and Rivaldo are displayed in glass cases accompanied by a historical timeline of the club. The most intriguing aspect of the Club’s story was how they emerged as a symbol of Catalonia pride and a staunch defender of rights during the dictatorship of Franco. They were prohibited to use the Catalan flag on their uniforms and to speak Catalan, and F.C. 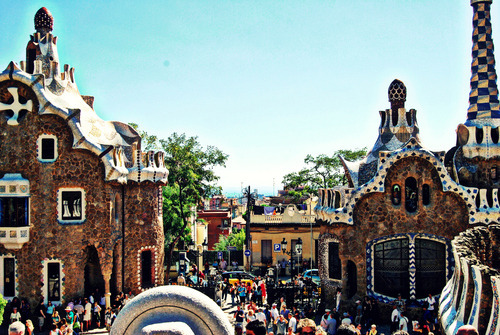 Barcelona became a way to support and promote their regional identity without the fear of joining an anti-Franco group. When news of Franco’s death spread, fans snuck Catalan flags into the stadium and proudly waved them, finally free from his dictatorship. The most exciting part of the tour was seeing my hometown MLS team (Seattle Sounders F.C.!) in a video montage of international friendlies…I was at that game in 09’ when Barcelona slaughtered us! Even if you’re not an architecture buff, seeing Gaudi’s works is on the top of most travelers list of things to do when in Barcelona. I was no exception and managed to see most of his major works in the short weekend I was in Barcelona. 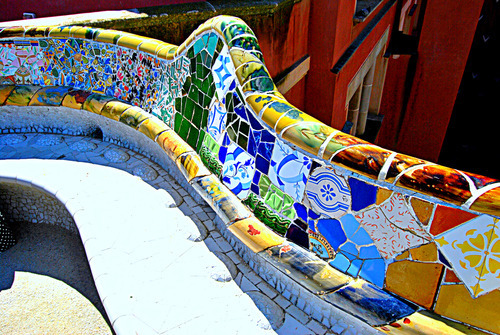 Gaudi’s style started as gothic and emerged into something uniquely expressive, highly intricate and verging on hallucinatory. 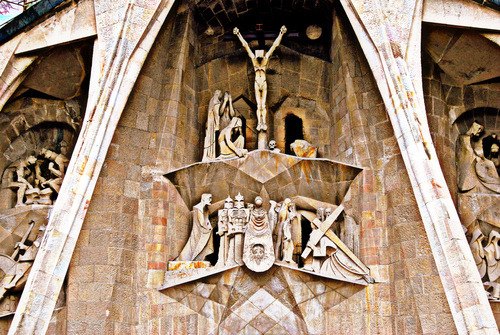 Viewing La Sagrada Familia in-person is a completely different experience than viewing it by photograph. 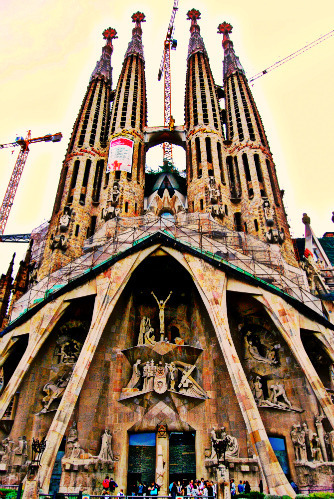 La Sagrada Familia is the most well-known of Gaudi’s architecture and has been under construction since 1882. Plans to finish this enormous church are underway, with a deadline of 2026, 100 years after Gaudi’s death. Interesting fact: the only remaining blueprints of La Sagrada Familia were destroyed by anarchists in the Spanish Civil War. 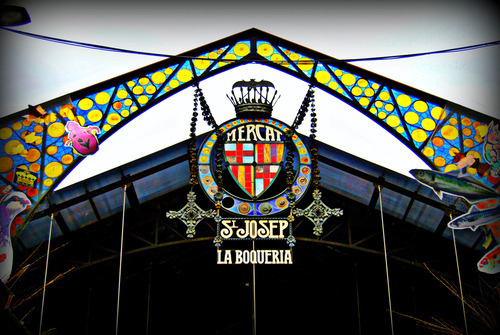 The Seattleite in me was curious to see how La Boqueria matches up to my hometown’s Pike’s Place Market. 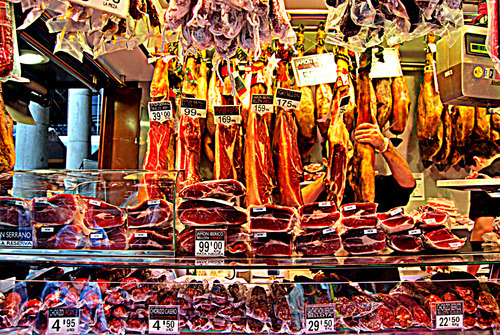 This market is not only bigger, but offers all the fresh seafood, fruits and vegetables of Pike’s plus enough candy and chocolate to give you a cavity from looks alone—not to mention my other vice, racks upon racks of jamón ibérico—mmm. My sweet tooth couldn’t deny my surroundings and I indulged in a few truffles and probably the best gum drops I’ve ever tasted in my life. 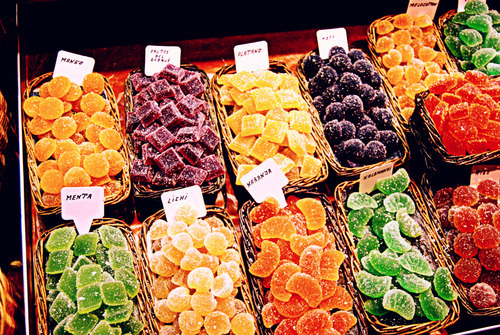 Looking back at the pictures makes my mouth water! 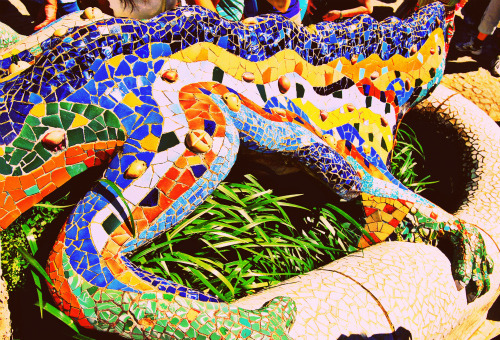 Stepping into Parque Guell feels like stepping into the popular board game, Candy Land. It’s a masterpiece of stonework and tiling that evokes whimsical imagery with something so vibrant and abstract, you don’t know if you’re awake or dreaming. This was my last stop before heading on the plane home, and I wish I had had more time to leisurely spend here, picnicking and enjoying the panoramic view of the city. It’s worth fighting the crowds in high-season for many reasons, but it helps that this attraction is FREE! 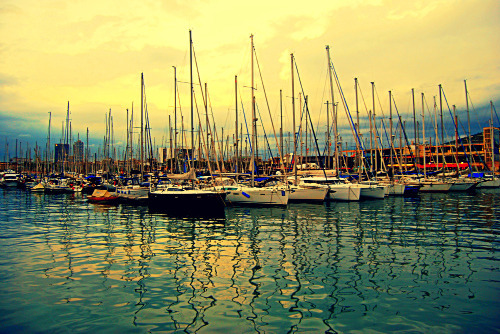 Rambla de Mar is a welcome escape from the throngs of tourists further up the street on Las Ramblas. It’s the port where all of the cruise ships stop, as well as where the World Trade Center is, and features a shopping and movie area. It’s the perfect place to stroll around, people-watch and devour one of the amazing-smelling waffles they sell in the street carts.